A simple query to set the first combination of products as default. The query will only work for products that do not have any the combination set as the default. 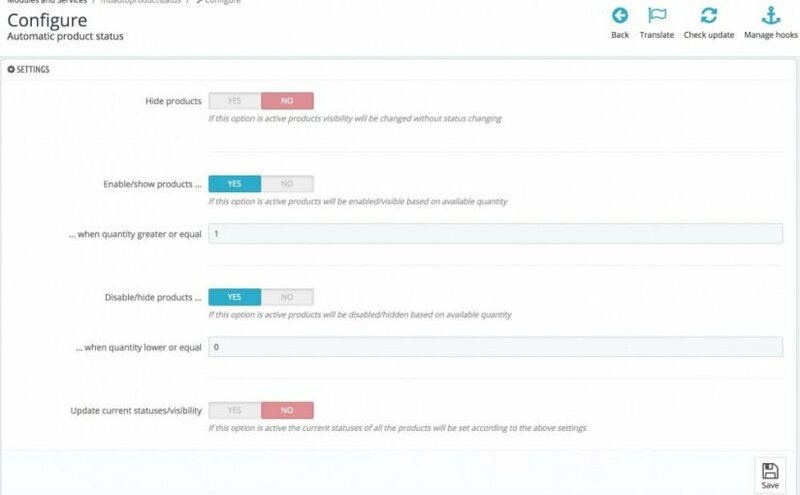 Module allows to automatically update product status and visibility based on stock available with multistore and attribute combinations support included.